Apparently, Muriel Barbery's The Elegance of the Hedgehog has received mixed reviews. As I am entirely stern and unbending in my refusal to read reviews of books I might some day pick up, I know about these mixed reviews only secondhand. I also know, with much greater certainty, that the novel has been a crazy bestseller in France, and that it has also been translated into many other languages. All that aside, I read this book for two reasons entirely my own: 1) It's French; 2) I like the title. I acknowledge that my second reason is absurd but I'm willing to be convinced for any number of random and foolish reasons to discover a hitherto unknown author of good books. So, The Elegance of the Hedgehog. I can't tell you anything substantial about the plot without revealing too much, so here's the premise: there are two alternating but related narratives, the first belonging to the 54-year old concierge of a very snooty luxury apartment building in Paris (Madame Michel); the second belongs to Paloma, a 12-year old resident of said building. Both are more, much more, intelligent than they would like anyone else to know; in spite of their very different positions and social origins, their reasons aren't entirely dissimilar. Both spend a great deal of time hiding, both literally and figuratively. Enter a new resident, the lovely Mr. Ozu, and everything starts to come together, and expand outwards, in exciting ways. Except for the shocking and unforeseen conclusion of the novel, this book is really more about the telling than about the happening. Madame Michel and Paloma are brilliant, pretentious, gorgeous, often hilarious, sometimes irritating creations. Whatever you think or feel about them, I think both are unique and fascinating, even if what Barbery is doing with them - showing how one's inner life is both transcendent of its origins as well as stifled by them - is sometimes patently too obvious. The writing is always really good, but I would have liked Barbery to be subtler sometimes. Subtler isn't all I wanted though. The Elegance of the Hedgehog continually brought to mind Amateur Reader's assertion that all fiction is fantasy. I entirely agree, but when I'm not reading capital-F Fantasy, I want my fiction to be perhaps less obviously fantasy, specifically less fantastical in the Hollywood Rom-Com sort of way. I'm sure the conclusion of the novel - which I will NOT reveal, even though not doing so makes this review less satisfying, likely for you as much as for me - was written as it was in part to explode such Rom-Com threads. I'm just not sure that this was the best way to do it, but I may be biased because I was more than a little irritated at Barbery for making me cry at work yesterday afternoon. So, I really like this book but I also don't love it. I will perhaps read Barbery's next novel to see if she focuses more on the smart and less on the sentimental - or, horrors, vice versa. When I reviewed this one a while back, I found myself focusing on all the things I liked about it, with a little cavil about the Japanese. Your review says a little more of what I couldn't articulate at the time. Whatever you do, don't read her first novel, Gourmet Rhapsody. It has all of the faults, and none of the charm. 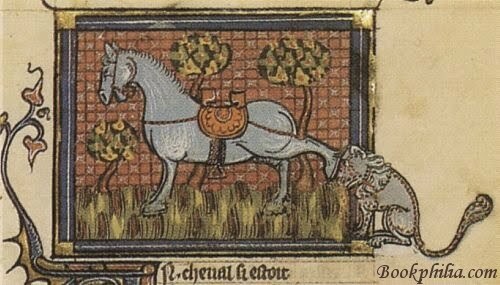 heidenkind: I don't know. I don't think I've read enough of anything to even take a guess at such a big question! Jeanne: I've heard before that Gourmet Rhapsody is awful; I am duly warned and it will be avoided. 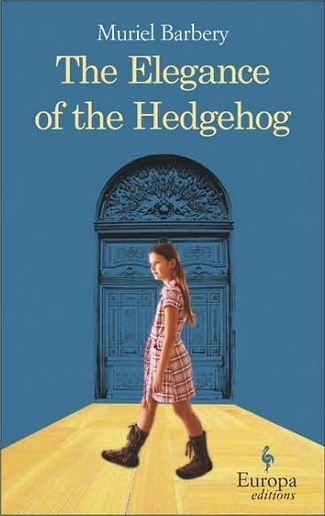 I'm curious about the book she's currently writing; even while reading an enjoying The Elegance of the Hedgehog, I found myself wondering if she was one of those mediocre to bad writers who would just get it mostly right once. Time will tell!